Home » Events » Pure Oldies presents: A Tribute To The King! 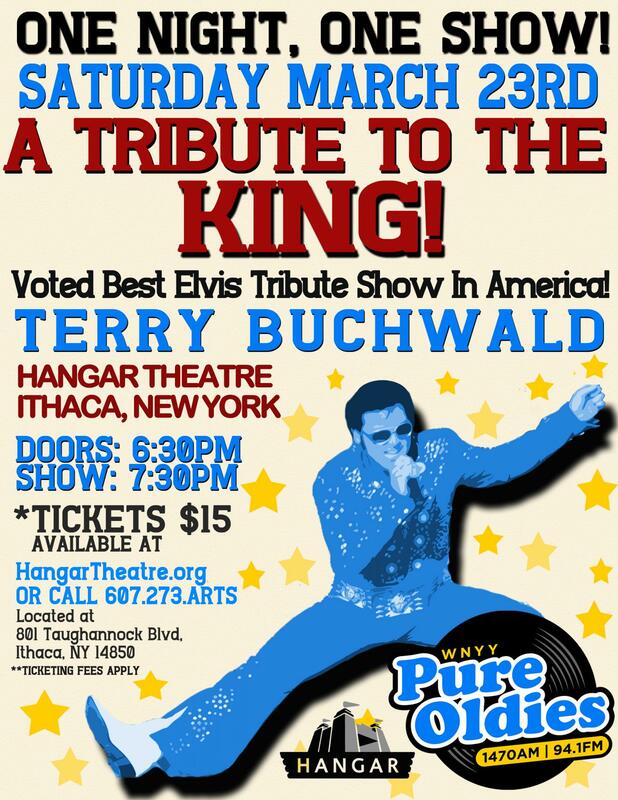 Pure Oldies presents: A Tribute To The King! 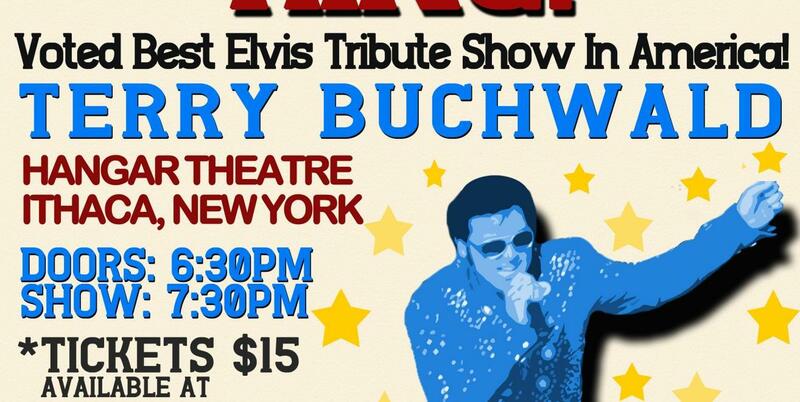 The best Elvis show in America. Terry Buchwald. One Night, One Show! Tickets: Available online, or by phone at 607.273.2787 (Monday-Friday 9 a.m.-5 p.m.). 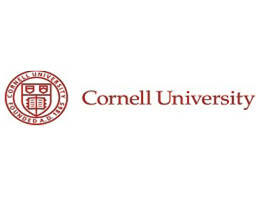 They can also be purchased weekdays 9-5 at the Hangar Administrative Offices located in Center Ithaca (ste. 230). If tickets remain, they will be available at the Hangar Theatre Box Office starting at 6:30 p.m. the day of the performance.